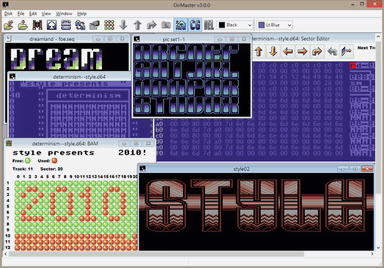 DirMaster is a Windows-based GUI application designed to help Commodore enthusiasts explore and manage their disk image collections. DirMaster supports common (and uncommon) emulator disk image formats (such as .d64, .d81, .d2m, etc), almost every native Commodore archival format (such as .arc, .sda, .lnx, etc), and many native graphic formats (such as koala, doodle, amica, etc). DirMaster was designed to give users a perfect blend of familiar appearance (e.g. natural looking disk image contents using the PETSCII character set) and modern GUI functionality (e.g. drag and drop, opening multiple disk images at once). The first version of DirMaster was released in 2006. 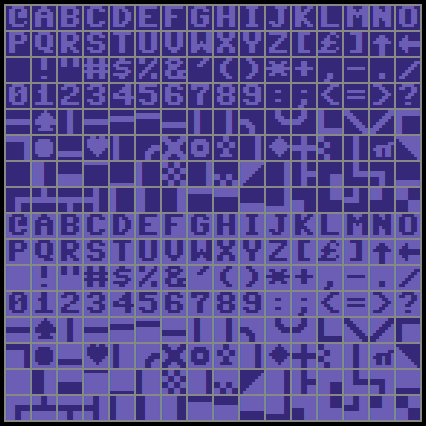 Style's C64 TrueType package is our effort at a complete and proper TrueType (TTF) representation of the C64 glyph set. The package provides two typefaces, each in .ttf, .otf, .woff, .woff2, and .eot formats. In fact, the text you are reading right now is using our "C64 User" font and you should see for the first time a nicely proportioned rendition of the legendary C64 character set as an embedded TTF! 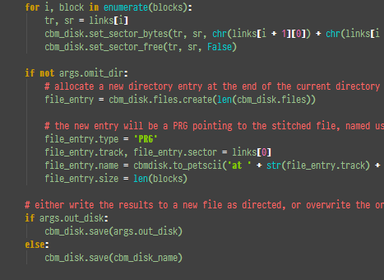 CBMdisk is the code library that provides the core disk/file/archive manipulation functionality used in DirMaster. This release provides a wrapper implemented as a Python module that exposes the library through a Pythonic api.